Green Flag is predicting more than 121,000 breakdowns in the snowy weather. These will fall into two basic categories: people whose cars conk out and drivers who get stuck. 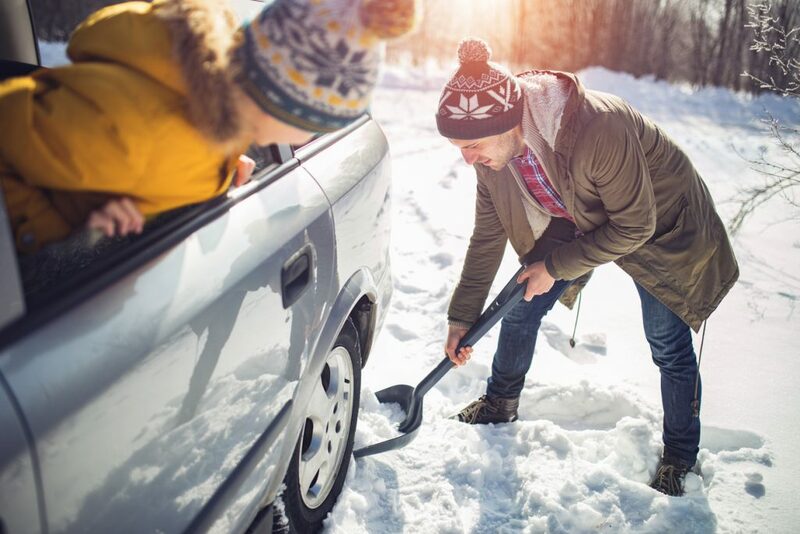 Before venturing out in the snow here are some basic checks you can make to your car. Check pressures and inflate them to the levels recommended by the car maker. You will find this in the user manual or on a sticker, either inside the fuel flap or on one of the front door pillars. Tyre tread depth is important too. Assuming you don’t have winter tyres (rubber that’s designed to perform at temperatures below 7 degrees C), the more tread your tyres have, the better. The legal minimum is 1.6mm; safety experts recommend changing tyres when tread has worn down to 3mm. Oil is the lifeblood of your engine. Make sure your motor has enough of it so it doesn’t grind – literally – to a halt. Read how to check your oil here. You might not think it in freezing weather, but coolant is vital too. Check under the bonnet that the level is between the minimum and maximum markers. And make sure your car has sufficient anti-freeze. It’s vital to be able to see where you’re going. Check your windscreen washer bottle and top up with the correct concentration of washer fluid. It’s important to have something to clear your car’s windows with. Green Flag saw the number of call outs for cars with windscreen wiper motor faults increase by 227 per cent in December. This was almost exclusively caused by drivers trying to use their wipers to clear ice and snow from screens. Also make sure you have a coat and some sturdy boots in case you get stuck. A mobile phone charger is important too – your phone may be the only way you can summon help. A reflective vest will help you stay safe at the side of the road. And a shovel could be handy for digging snow from around your car. In December, Green Flag had rescues of cars that were ditched but still driveable increase by 119 per cent. This is a recurrent problem when the roads are snowy. Here are five ways to avoid it.